So what makes a good shelter for goats? 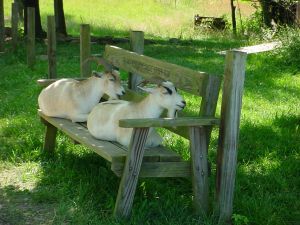 Goats need shelter that protects them from excessive heat, wind and rain in order to be healthy. Wind and rain trigger a respiratory problem pneumonia which is a swift killer. One should bear in mind some important factors when making a shelter for goats. The floor should have dirt and if possible gravel since they have warmth and are comfortable. Wood can also work for floor but concrete should be avoided at all costs. Goats’ shelter need to have sufficient height and width that is suitable for their comfort and a favorable outdoor area. Mostly shelters are from 10 to 15 square feet. The back and front of the shelter should both have doors. There should be good free flow of air and natural lighting. There should be no congestion. Many of the principles about How To Keep The Chickens Warm During The Winter and building a good Chicken Coops apply. Dry climate will be favorable and a good drainage area facing away from the prevailing wind if open will work out better. The shelter should also be well fenced to keep predators at bay. The shelter should be raised by about 1 to 1.5 meters from the ground. The structure should be large enough to accommodate more of the species since young ones in different ages and sexes need to be weaned in different sheltering areas. Or dairy breeds, you will need enough space to perform milking and for breeding you need kidding pens and the size depending on the number of goats you have kid or milk. 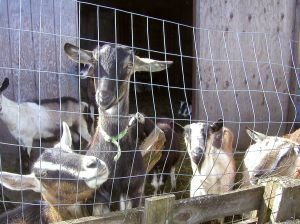 There should be sufficient space for you to store the feeds and other equipment you use to take care of the goats. Water accessibility should be easy to make the shelter friendlier.